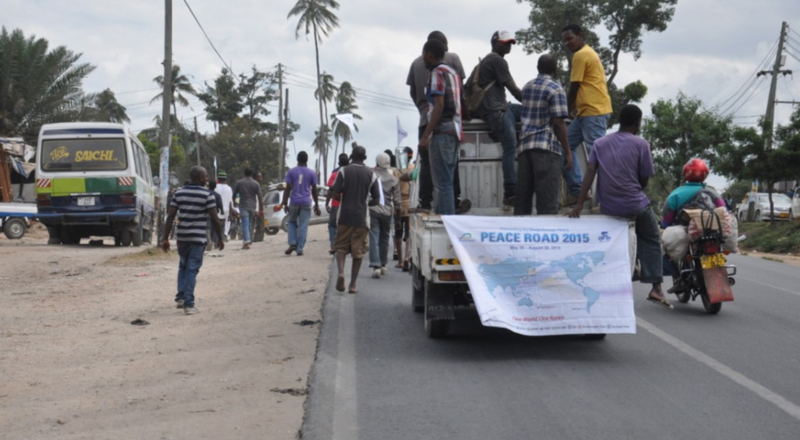 FFWPU Tanzania: On July 4, we held the Peace Road march in Tanzania. The 3-kilometer march started around 4 pm from Mombasa Bus Terminal to Pugu. 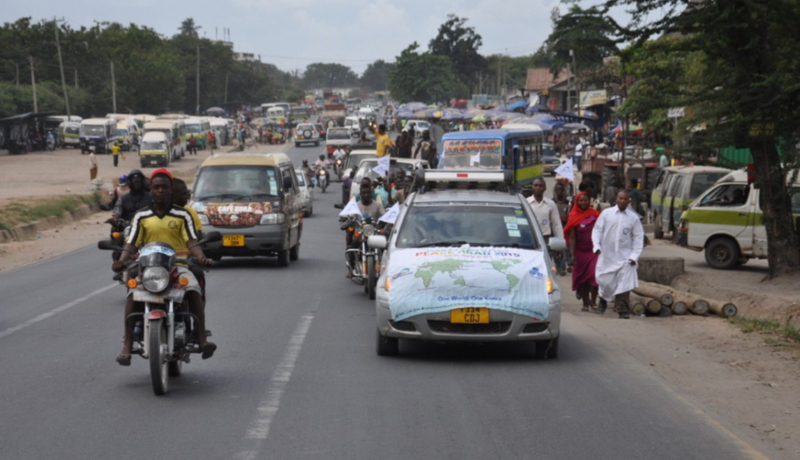 Among 50 marchers from Dar es Salaam were Frank Mavula, the City Council Youth Development Director; and Rev. Stylos, secretary general of UPF Tanzania . FFWPU members as well as members of the Association of Motorcyclists and some ambassador for peace also participated. The ceremony began with the singing of the Tanzanian national anthem and a peace song, and a prayer by Sheik Juma Ugoga. Hon Mavula and Rev Stylos each gave a short speech. Marchers insisted on holding another Peace Road march before August.